Testicular torsion is a serious condition that is seen most often in adolescent boys and young men. Testicular torsion is the twisting of the spermatic cord, which can cut off the blood supply to the testicle and cause permanent damage. The spermatic cord connects the testicle to the reproductive organs and contains blood vessels, nerves, and vas deferens, which is the tube that carries sperm. While not common, testicular torsion causes severe pain and requires immediate medical attention and possible emergent surgery to untwist the spermatic cord and prevent permanent damage to the testicle. Testicular torsion most often affects younger males and adolescents, although it can happen at any age. Torsion typically occurs only on one side of the scrotum. Weakened tissues that hold the testicles to the scrotum. When the testicle is not supported inside of the scrotum, it can rotate around the spermatic cord and cause the twisting. Immediately after presenting with symptoms of torsion, your doctor will perform a physical exam of the scrotum, groin area, and testis, and ask you questions about your pain and onset of symptoms. If the pain you are feeling is not clearly torsion, your doctor may order other tests to confirm the diagnosis including an ultrasound of the scrotum to check blood flow in the spermatic cord and to the testicles. 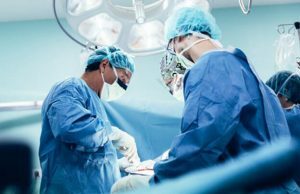 Patients who present with severe pain and swelling of the testis may need an emergency surgical procedure to untwist the spermatic cord and restore blood flow to the testis. Time is of the essence when the goal is to save the testicle from irreparable damage. Testicular torsion is an emergency as loss of blood flow to the testicle for a period of just hours can cause the testis to die or be permanently damaged. Surgery to correct the twisted spermatic cord is often indicated.